Two thirds of Iqaluit residents get some sort of help paying their rent from either the Nunavut government or their employer, according to the Canada Mortgage and Housing Corporation's latest northern housing report. 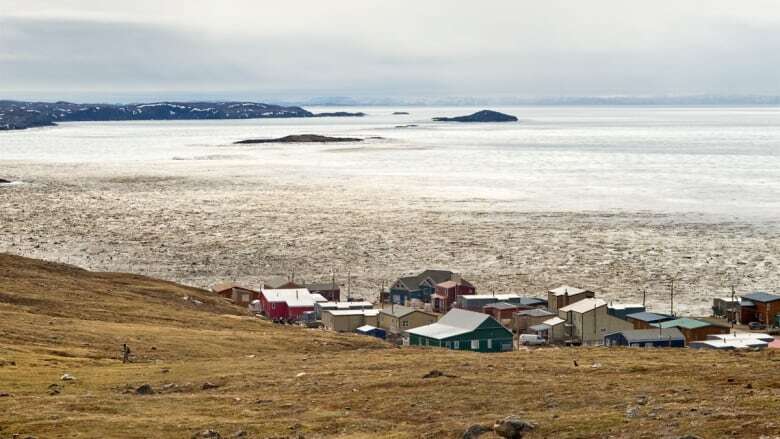 Two thirds of Iqaluit residents get some sort of help paying their rent from either the territorial government or their employer, according to the Canada Mortgage and Housing Corporation's (CMHC) annual northern housing report, released Thursday. The national housing organization found that, in Iqaluit, the public sector leased 39 per cent of the rental market. Ten per cent of those tenants pay the landlord directly, while 23 per cent is public housing and four per cent is vacant, according to the corporation. Private companies, meanwhile, lease 24 per cent of the rental market to provide to their employees. This report includes yet another look at the dire housing situation in Nunavut. Thirty-six per cent of the population of Nunavut has a core housing need — double the rate across the country, according to this year's report. That means the homes are either unaffordable, inadequate or unsuitable. . In Iqaluit, 193 new public housing units — a 37 per cent increase — are needed to meet housing needs. But the report notes no new units are under construction and the need is greater in other communities such as Cambridge Bay. Across the territory, nearly half of the people living in public housing units are younger than 18, and 90 new units are needed a year to help keep pace with population growth, the report states. After a strong 2016 for new construction in the Northwest Territories' capital, construction began on only 65 new units in Yellowknife in 2017 — a 49 per cent drop from the previous year. Only 19 of those homes were single-detached units. The Canada Mortgage and Housing Corporation report blamed "economic headwinds" and projects currently underway for the drop in new construction. In 2017, the N.W.T. 's economy improved slightly due to increased production at the Gahcho Kue diamond mine. But the territorial government is trimming the number of employees, and there are generally fewer employment opportunities, creating those "headwinds" noted in the report. Last year, the high rental prices the city is known for remained generally unchanged. The average two-bedroom unit rented for $1,699 per month last year. There were a few more people renting in 2017 — likely fly-in workers for Gahcho Kue — which tightened the rental market and dropped vacancy rates to 3.5 per cent, with rental prices likely going up 1.6 per cent for some tenants, the report notes. The story is expected to remain the same next year, the report states, since it's unlikely there will be spikes in vacancy rates or rental costs. After a low in 2006, home prices have steadily risen over the last 11 years in Whitehorse and that's expected to continue this year. The CMHC expects the average home to cost between $390,000 and $408,000 this year, mostly due to a seller's market for single-detached homes. In April, more than 50 single family lots were scooped up through a land lottery, with 103 people vying for the lots. Construction will continue in the Whistle Bend area this year with the next stages of the project moving through 2018 and 2019. The City of Whitehorse also recently approved four infill sites in existing neighbourhoods and be ready for a lottery by the fall. It's expected construction will start on 50 to 61 new single-family homes and between 115 and 165 units in condos and townhouses in Whitehorse by the end of the year. Living with limited running water, 1 light bulb and a wood stove in Fort Good Hope, N.W.T.